In 2005, David Foster Wallace delivered the “This is Water” commencement speech at Kenyon College. I’ve studied and written about the most viewed commencement speeches in the past, but this one is special. While he pokes fun at “didactic little parable-ish stories” in commencement speeches, David Foster Wallace delivers one of the best. This post outlines my own personal interpretation of his speech. 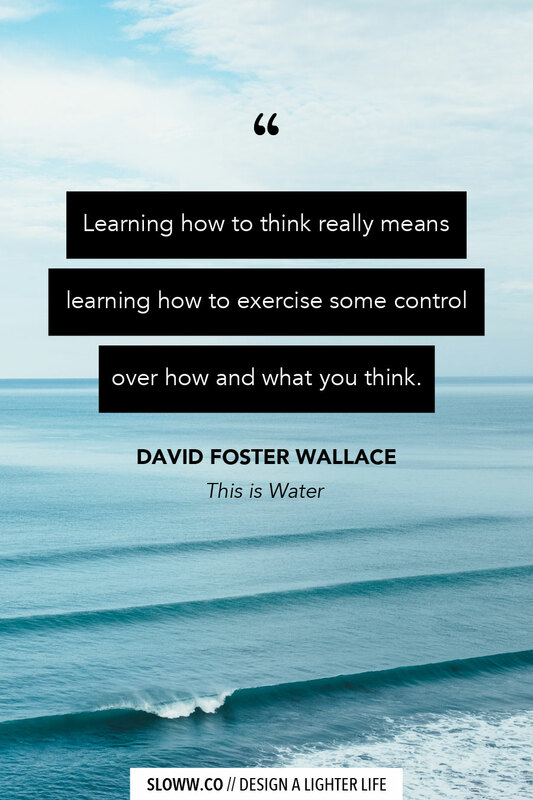 Here’s the gist of the “This is Water” story itself along with 3 simple life lessons we can all apply to our day-to-day existence (bold added throughout for emphasis). 1. 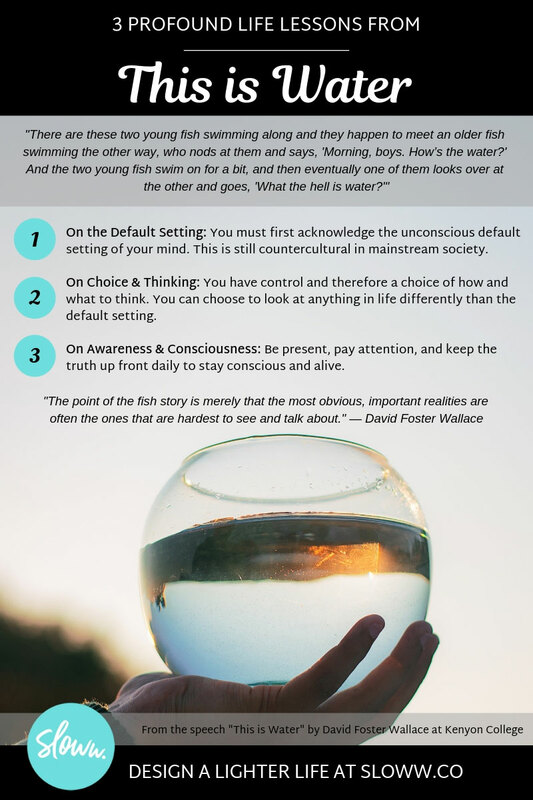 On the Default Setting: You must first acknowledge the unconscious default setting of your mind. This is still countercultural in mainstream society. 2. On Choice & Thinking: You have control and therefore a choice of how and what to think. 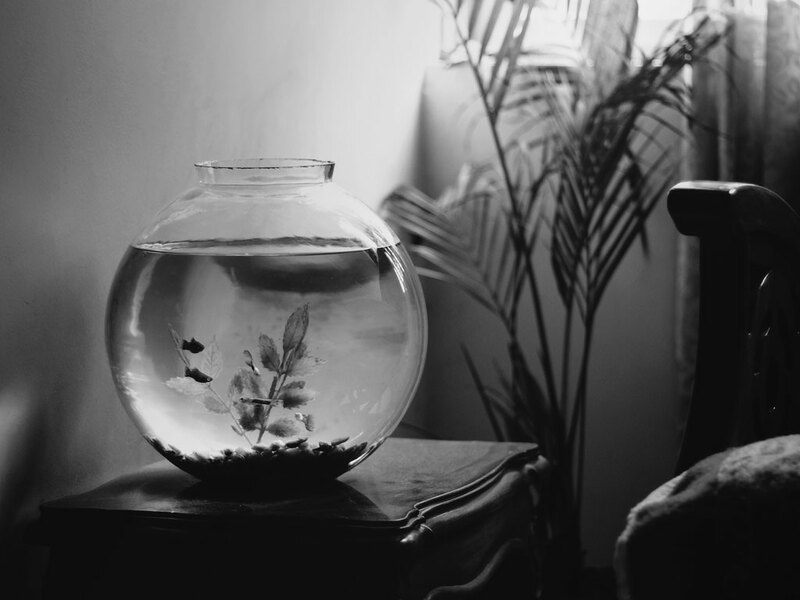 You can choose to look at anything in life differently than the default setting. 3. On Awareness & Consciousness: Be present, pay attention, and keep the truth up front daily to stay conscious and alive. How are you doing on these three life lessons? Do you acknowledge your default setting? Are you exercising control and choice over your mind? How about paying attention and staying present?